Women and men of all backgrounds, views, and ages will find this a valuable book. Pastors and Elders will will find it useful as they work out how to faithfully lead a united worshiping community under the authority of Christ and in accordance with Scripture. It is also ideal for use in women's ministry as women seek to live and act according to God’s will. Kathleen Nielson proficiently unpacks difficult passages of Scripture that we sometimes want to avoid. 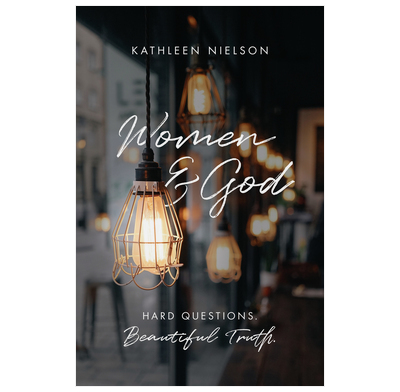 On every page, she helps us wrestle with complex questions, while inviting us to embrace this beautiful truth: God is good to women. This is an excellent and needed book—I highly recommend it for both men and women. In our day, debate over the treatment of women, especially in the church, is one of the hot topics. I hope that many readers on all sides of this debate will take the time and invest the energy to listen carefully and respectfully to Kathleen, a woman who has a keen mind, a heart devoted to Scripture, and the courtesy to treat other viewpoints fairly even while she marshals the evidence that supports her understanding of key passages and themes.